​Dunchideock Village Hall, set in its own grounds off School Lane, used to be the village school. 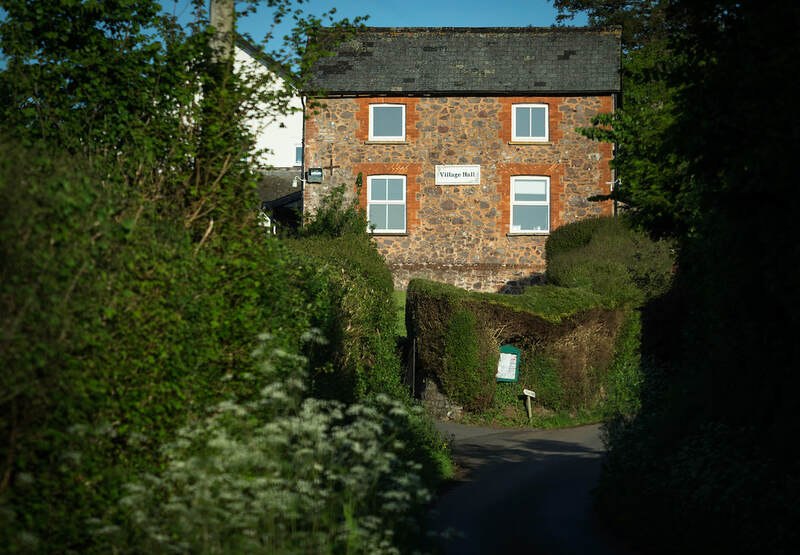 The Village Hall Trust Committee bought the building and land from the school owners, The Exeter Diocesan Board of Finance, in July 1960 and the Committee now runs and maintains the Hall for the benefit of the community. The Hall has undergone various building projects over the last few years including a kitchen refurbishment, a rebuild of the toilet block, a new roof for the garage and various rewiring projects. The Committee are currently in the process of obtaining broadband for the Hall - this will help during meetings and we hope will encourage both private and business individuals to hire the Hall. The Hall is fully equipped in the kitchen with crockery, cutlery, glassware, microwave, oven, hot plates, fridge and freezer. The Hall is fully compliant with electrical and fire regulations and is fully insured for both public and employers liability. For further details, please contact the Treasurer. If you wish to hire the Hall, please do contact the Treasurer, details are listed below.